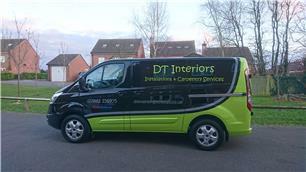 D T Interiors Ltd - Carpenter, Kitchens based in North Baddesley, Hampshire. DT Interiors have been trading now for 8 years & have over 16 years experience working in the building industry providing a wide range of carpentry & building services to both the domestic & commercial sectors. My company has been built around the ever increasing demand of quality fitted kitchens & small building works. Our aim is to work with all potential customers & help them from design to completion offering advice & making the whole process from start to finish as easy as possible. For a professional, reliable & quality service please get in touch.